No, we don’t miss the peaches! Do you miss the fruit? 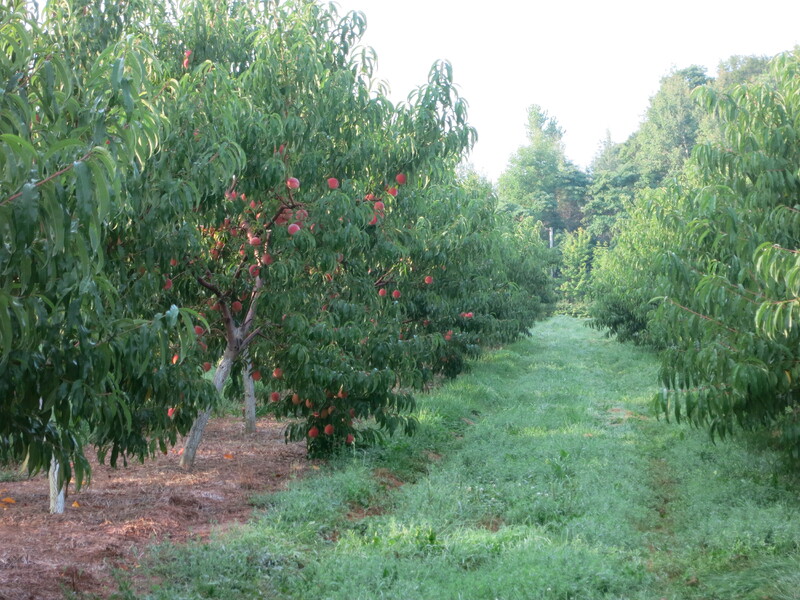 It has been exactly 2 years now since we removed our fruit orchards – cherries, peaches, apricots, plums, nectarines, pears – to focus on growing vegetables. And people continue to ask about it. (for a bit of background, check these blog posts from when this happened. https://thiessenfarms.com/2015/11/11/changes, https://thiessenfarms.com/2015/12/21/thiessen-farms-our-new-look, https://thiessenfarms.com/2016/03/03/lost-on-the-farm). I think what’s often meant by the question is – did we make the right decision? After all, ripping out a few thousand fruit trees, some of which had been in the ground for well over 50 years is a big thing! And once it’s done, there is no going back. These past 2 years have been difficult & scary! We always considered vegetables to be a supplement to our tree fruit. Now they have become our main enterprise. That means growing the quantity & quality required to make a living. There are no peaches to fall back on! The first year was extremely dry while this past season was too wet. Both of these were challenging conditions for scaling up production. On the marketing side, we immediately lost many of our CSA members who were there for the fruit. Others tried the new “vegetables only” CSA for a year, found they really missed the fruit and moved on. At the farmers’ market, our customers’ reactions ranged from disappointment to anger. Not a market day has passed in these 2 years that they have not reminded us that our fruit is missed. It continues to be a struggle to regain our customers & their loyalty. But these past 2 years have also been exciting & fun! After a lifetime of growing tree fruit, it’s been a great change to concentrate on vegetables. The miracle of planting a tiny seed in the soil, watching it sprout and grow, and then harvesting a crop in as little as a few weeks – that never gets old for me! I like that every year is a fresh start. We can grow the same vegetables again or try something new. We are not bound by what we grew last year. A few dollars for a pack of seeds and it’s a whole new adventure! If a crop is damaged or lost to insects, disease, weather, even our mistakes … we can replant and try it again. Unlike fruit where there’s only 1 opportunity each year, vegetables offer more chances. 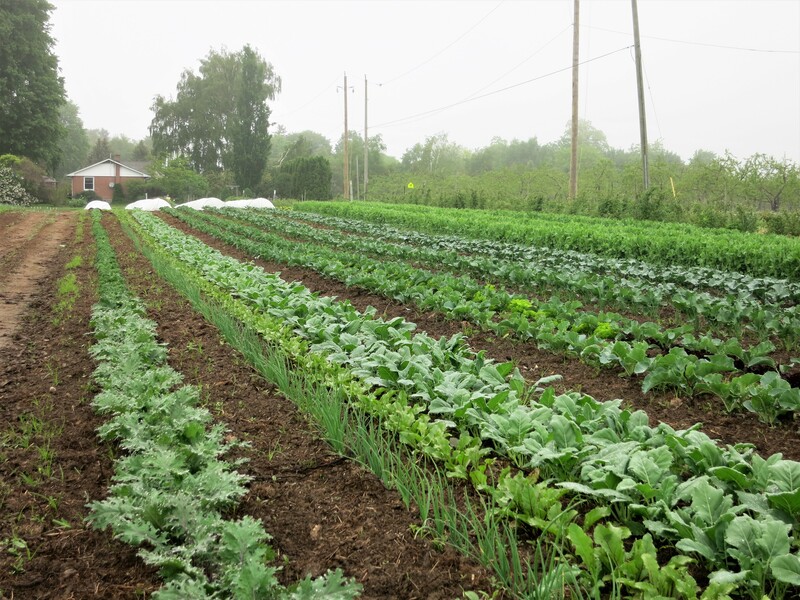 Vegetables respond rapidly to their growing environment. Nutrients or the lack of, water (enough, too much or too little), weed pressure, temperature, cultural practises … all have an immediate effect. It’s fascinating to see how we can so quickly influence their growth, and learn to provide optimum conditions for the best vegetables. I enjoy the task of planning and the challenge of timing our seeding & planting to hopefully result in a harvest – the right amount of the right vegetable at the right time… (The fruit trees mostly set their own schedule which we could influence very little). We are probably working harder physically & mentally now than when we grew fruit. Part of this is because we have fewer workers around to help, & partly because we’re still learning better & more efficient way to do things. But we also work fewer hours, spend more time observing, and take more coffee breaks! So … do we miss the fruit? Not at all! It was the right decision – a great decision!